Towbridge faces an uphill battle to win the No. 3 job at tight end, Ryan Talbot of NewYorkUpstate.com reports. Analysis: Towbridge went undrafted out of Lousiville last spring and then spent the entire 2017 season on injured reserve with an undisclosed injury. 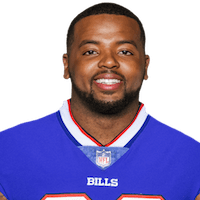 He's since returned to the practice field, but Towbridge is buried on the depth chart and will need to be very impressive on special teams to stick around in Buffalo.